Did you ever wonder where that recyclable trash goes once it leaves your home? Desert Adventures has set up a tour of the Materials Recovery Facility in Phoenix to help us understand that process. Learn about what is recyclable and what is not, and why it’s important to sort it properly for pickup. Phoenix owns two strategically placed transfer stations, one in north Phoenix and one in South Phoenix. Transfer stations temporarily house all the trash from Phoenix in preparation for hauling the materials to the State Route 85 Landfill in Buckeye. 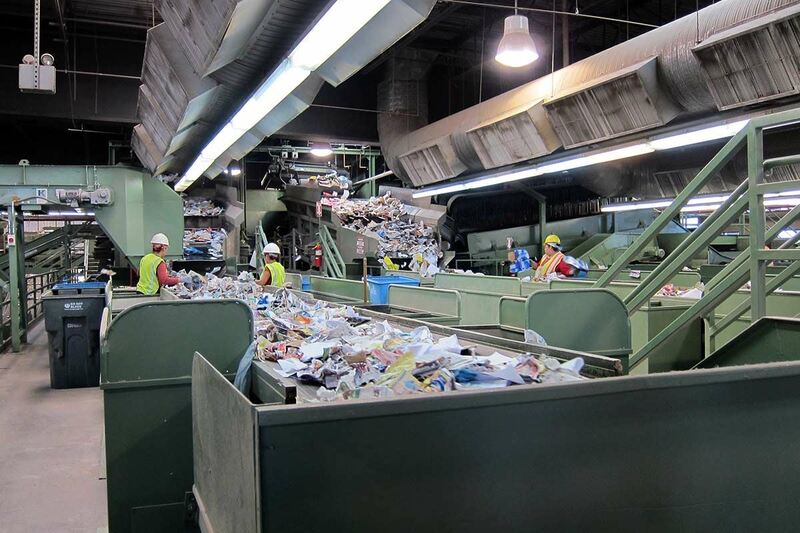 All recyclables in Phoenix are also sent to the transfer stations to be sorted by the adjoined Materials Recovery Facility (MRF). The MRF contains a series of machines and conveyors that sort glass, paper, metal, cardboard and plastic into separate bales. As a resident of Phoenix, you may take up to five (5) automobile tires per year to a city of Phoenix disposal facility. The rims must be removed from the automobile tires prior to bringing to the transfer station. There are specified mattress recycling containers at each of the transfer stations. If you bring in signs for recycling, please inform the scale house clerk that you have election signs ONLY. · Special Waste as defined under Arizona Revised Statutes.